WASHINGTON — The Selective Service System could start including women in its lists for possible future military drafts in the next few years. Or it could also start using those lists to help fine-tune military recruitment by identifying highly-skilled high schoolers interested in public service. Or it could disband altogether, abandoning any procedure for involuntary military service in the future. Members of the National Commission on Military, National and Public Service charged with recommending potentially radical changes to the Selective Service System released their interim report on Wednesday, outlining a host of potentially dramatic overhauls they may recommend in coming years. The procedural move enraged Democrats, who were expecting a full floor debate on the measure. Along with including women in the draft rolls — a polarizing topic which lawmakers specifically formed the commission to explore — the report includes a number of proposals to expand the scope of national service opportunities for all Americans. Among the ideas: Include more local volunteer opportunities in high school, simplifying the process for applying to federal jobs, better promoting federal service organizations like the Peace Corps, and using the Selective Service System to better identify recruits for the military. Commission Chairman Joe Heck, a former Nevada congressman who served in Iraq with the Army, said no decisions on any of the proposals have been made yet. The group’s final recommendations are due to Congress and the White House in March 2020. But he said he expects the work to yield some significant changes in the end. But while the commission has found broad support for some of those ideas encouraging more public service, the proposal to require women to register for a potential military draft remains controversial. Under current law, all men between 18 and 26 are required to register with Selective Service officials in the event of a national emergency requiring military conscription. The law remains in effect even though the country has not had a military draft in more than four decades. Is it time to end the more than four-decade experiment of the all-volunteer armed forces and reinstate conscription? 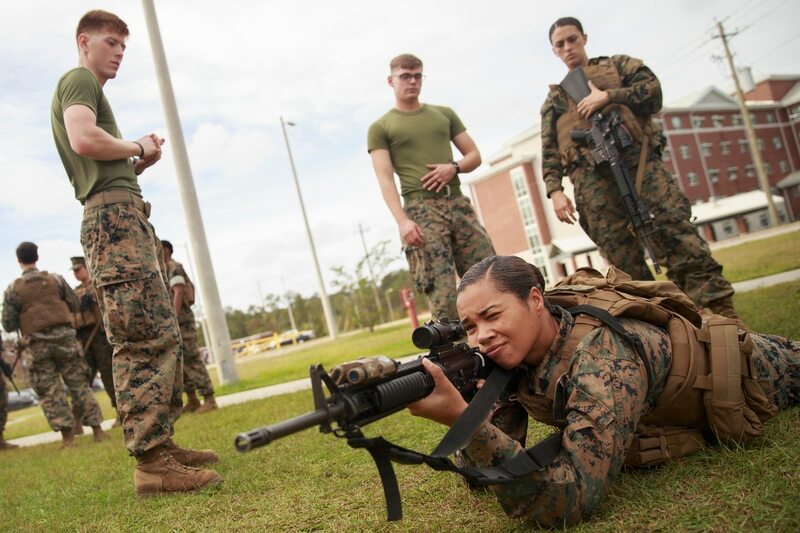 As all military combat jobs have been opened to women in recent years, however, several lawmakers and advocacy groups have pushed to open the Selective Service requirement to women as well. Legislative proposals have stalled out in Congress, over both concerns with traditional family roles for women and the viability of the Selective Service System itself. The system costs about $23 million a year to maintain. Commission Vice Chair Debra Wada said the group’s research found it remains viable, even if the idea of a future military draft is widely unpopular. Wada said she is optimistic the commission can find a middle ground on the issue of registering women, but thus far has no formal position on the idea. The interim report is available on the commission’s web site.